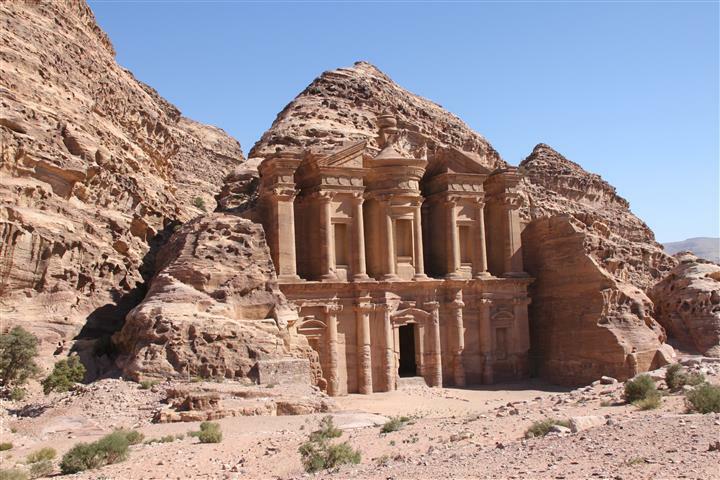 Petra was left by the Nabateans over 2000 years ago. Petra is one of the 7 wonders of the world. 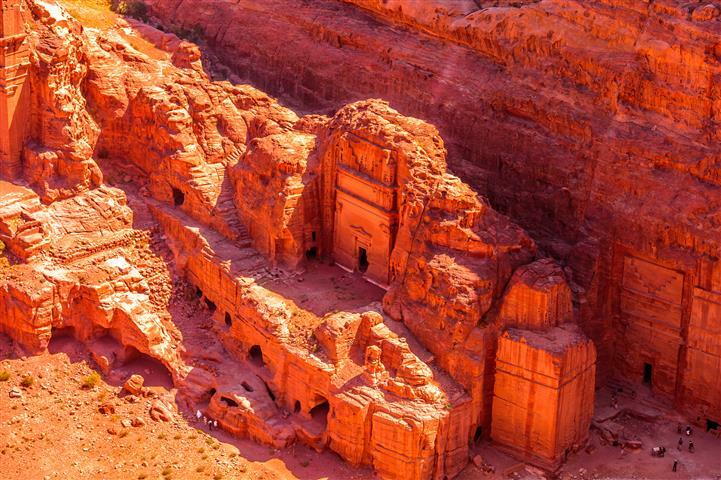 It is a historical and archaeological site, famous for its amazing facades, which are carved into the sandstone. 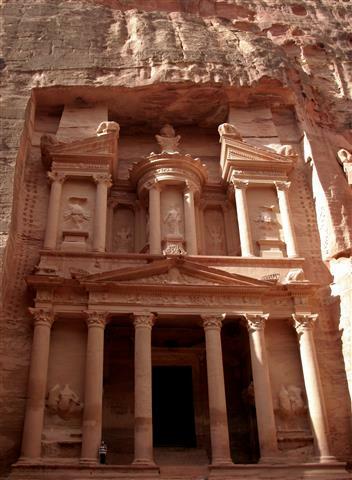 Tour the treasury, the amphitheater, the tombs, and much more. 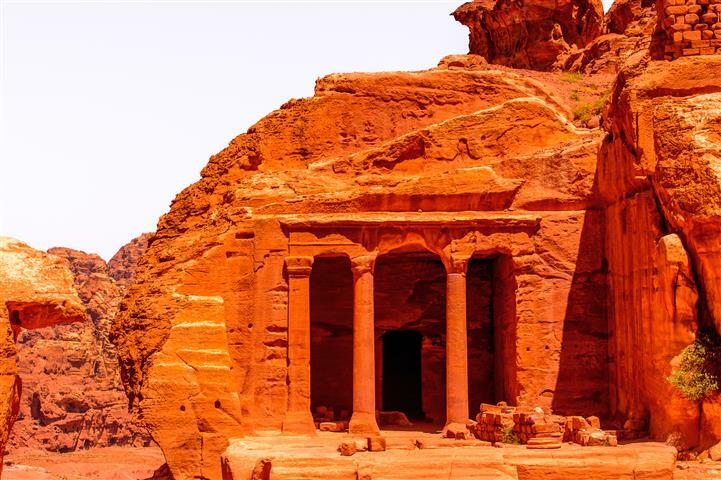 The facades, tombs, statues, and all of what is in Petra comes from many different peoples. The facades are taken after the Romans, the tomb fronts are Syrian, the tombs are from the Nabateans and the Greco-Roman. The Nabateans made their money from collecting water. They built huge water cisterns and collected the water. In times of drought they sold it. 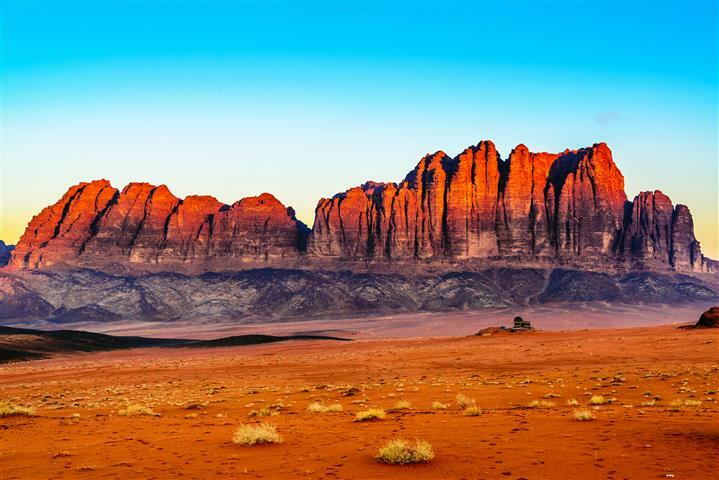 Wadi Rum is famous for its rock formations. One set of formations is called the “Seven Pillars of Wisdom.” There are many Bedouins in Wadi Rum. They have built 2 schools here, one for boys and one for girls. You can see how the Bedouins live in their goat haired tents. The Nabateans left their mark in Wadi Rum in forms of graffiti on the sides of the mountains. We will pick you up from your hotel or the airport in Eilat and take you to the Arava border. There we will help you with the border proceedings. Continue driving to Petra, about a 2 hour drive. After 4 to 5 hours of walking and learning we will eat lunch in one of the local restaurants. After lunch we will take you to your hotel in Petra for overnight. We will pick you up from your hotel and take you Wadi Rum. 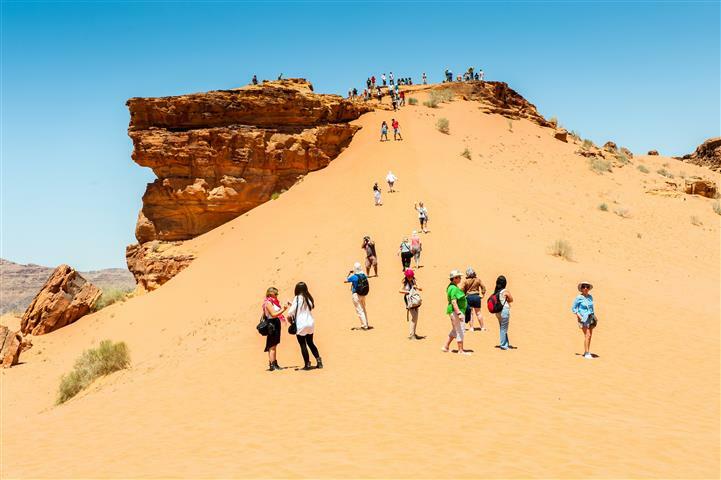 After visiting Wadi Rum we will stop for lunch, and then continue back to the border, and your hotel or the airport in Eilat. Transfer from Eilat airport or hotels to Arava border with our professional assistance. Visa We can make it for you at the border for $75 per person. (There is an option to add 1 more night in Jordan for $60.) If you stay 2 nights in Jordan there is no need for a visa.